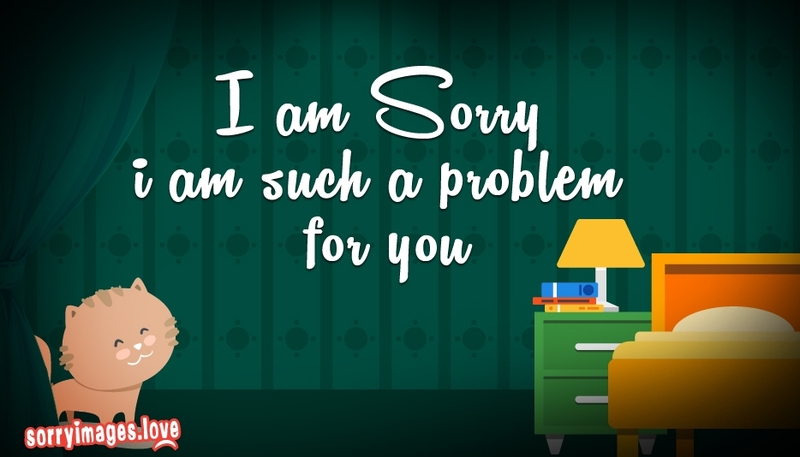 Admit your mistakes and seek apology with this cute message "I Am Sorry I Am Such a Problem for You...". Share it with your beloved ones whom you had hurt to ask for forgiveness. A cute 'Sorry' wish to bring back smile to your dear one's face.